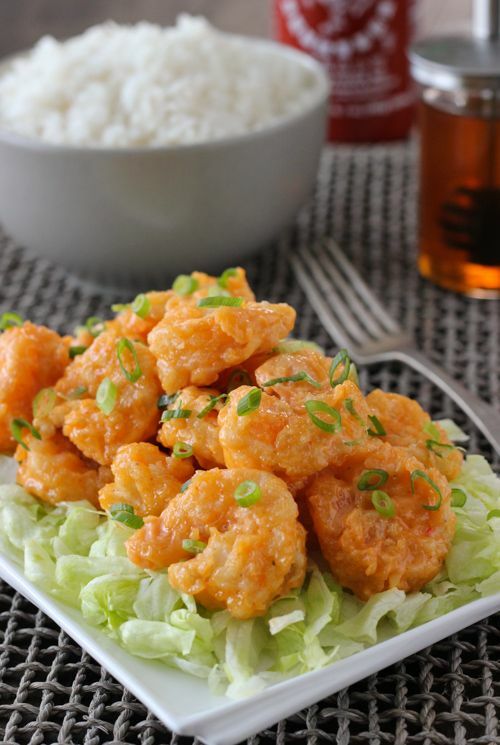 This is a popular appetizer from Bonefish Grill – Bang Bang Shrimp. I was so excited when Food Network magazine came up with a copycat recipe. They are incredible. Crunchy and saucy with a hint of spice – you will be reaching for more. As you bite through the crispy breading, moist and plump shrimp are revealed, coated in creamy, spicy and slightly sweet sauce. The taste is irresistible. My sister, who hates shrimp and doesn’t eat any type of seafood, even liked them. The rest of us shrimp lovers were just relishing every bite with gusto.